Is sin (A + B) = sin A + sin B? How to derive sin (A + B) formula? What are compound angles formulas? How can we transform the product into sum or difference formulae? How can we transform the sum or difference into product formulas? What are the applications for compound angle formulae? 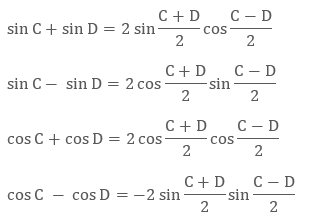 At the initial learning about trigonometric, every student has the basic doubt whether sin(A + B) is equals to sin A + sin B or not same as x(2 + 3) = 2x + 3x. So let’s clear this doubt here by taking an example. Clearly, we can see that LHS ≠ RHS and thus sin (A + B) is not equals to sin A + sin B in general. Then let us find its actual simplification in the next section. For deriving sin (A + B) formula, let us now assume that A + B ≤  90° thus we shall take two points P and N on the Cartesian plane such that ON makes an angle of A with the x – axis and OP makes an angle of (A + B). See the figure to understand the derivation below. From here, we can also derive the other compound angles formula. Although, we have assumed at the beginning that A + B ≤ 90°, but still the above formulas are valid for other condition too. We need the help of compound angles derived above to get the relation between the product and sum or difference formulae. 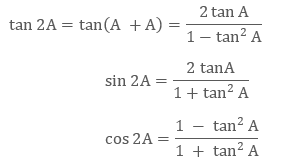 With this derived product formulas, we can now easily convert the product of two trigonometric ratio of different or same angle into sum or difference of the ratios. 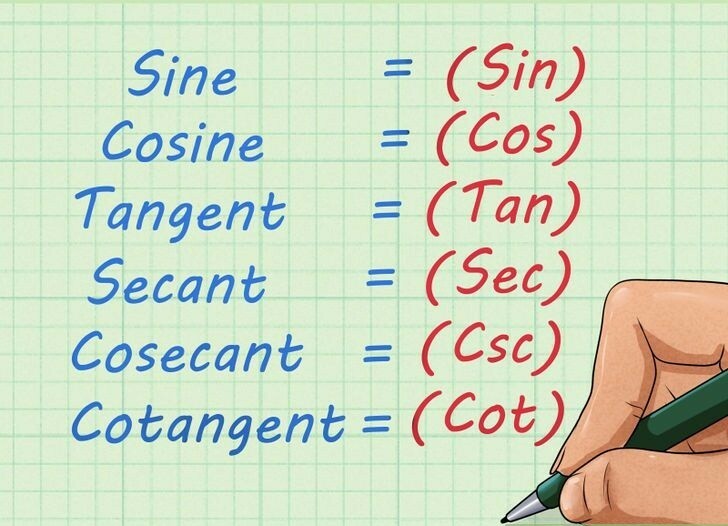 All these above formulae are very important in trigonometry. 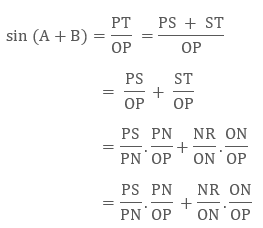 Below are few important identities, which is used to simplify the complex trigonometric equations. Note:- All these above identities can be easily derived by using compound angles formulae. So first question here may be that what do we mean by multiple and submultiple angle. So to understand it, multiple angles here mean if we have an angle A, then all the angles which are integer multiple of A, that is, nA, will be considered as the multiple angles of A. While all the angles of the form A/n, will be called as the Submultiple Angles. Here, n is any integer. Similarly, we may also derive it for other trigonometric ratios. 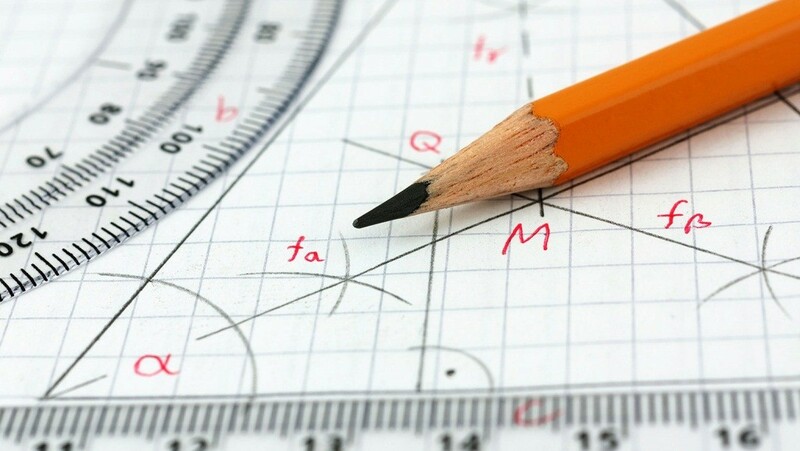 Here we are presenting all the other important formulas for multiple and submultiple angles. 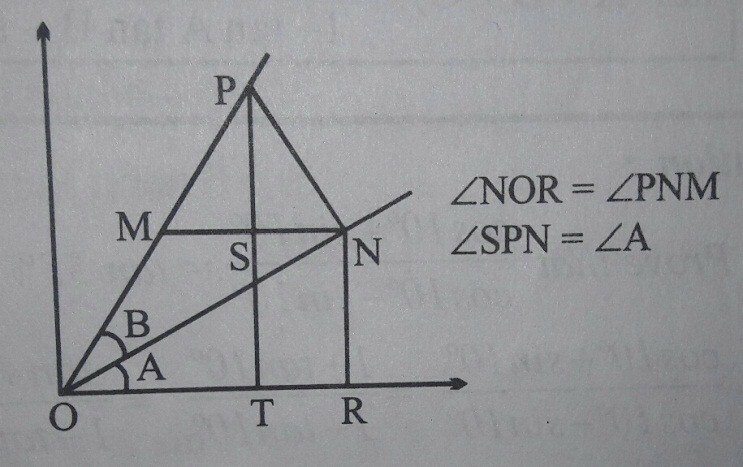 We have wide application of compound angle formulae in trigonometry. Let’s have few examples to understand the same. 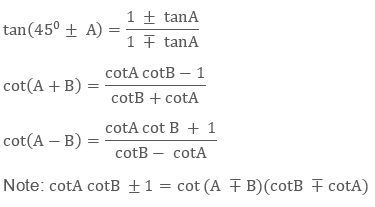 Here we have used the formula of tan (A - B) and tan(A + B). Let θ stands for 18°, so that 2θ = 36° and 3θ = 54°. The remaining trigonometric ratio of 18° may be now found. 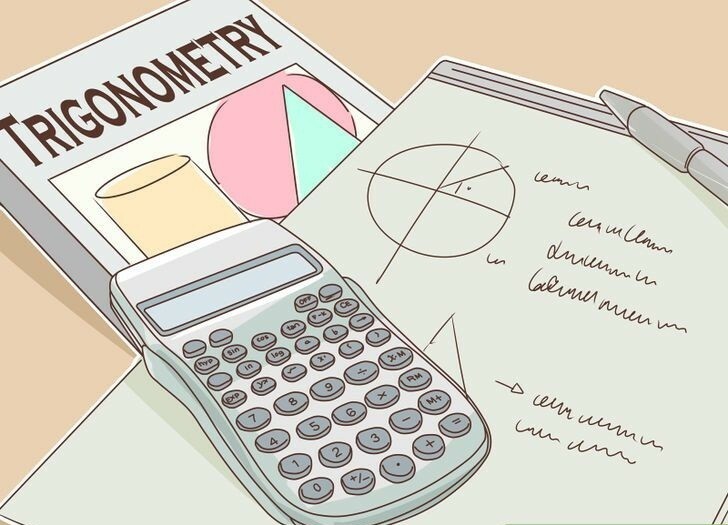 Since 72° is the complement of 18°, the value of the ratios for 72° may be obtained. 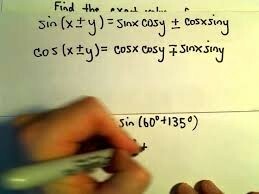 The remaining trigonometric functions of 36° may now be found. Also, 54° may be found.